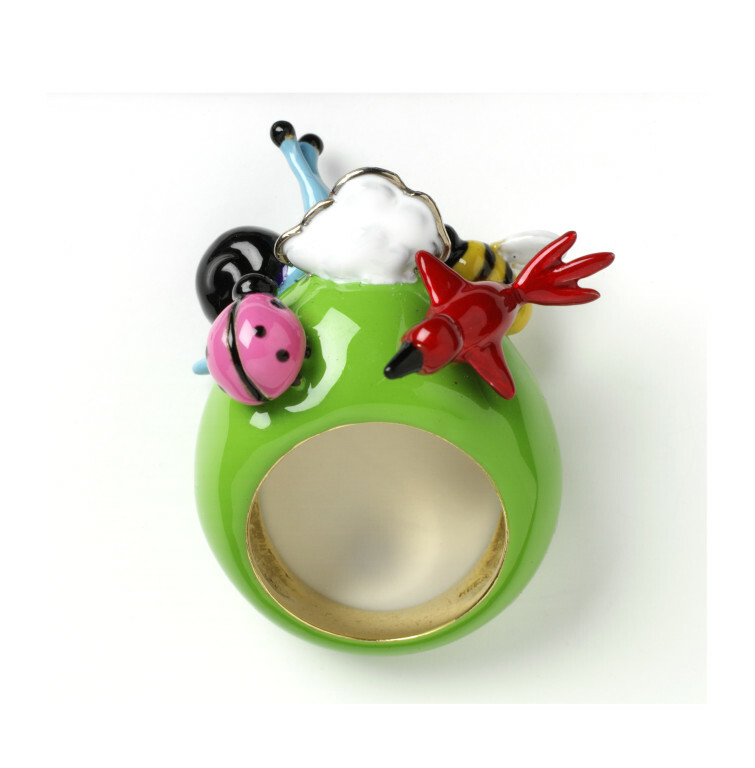 The inspiration for this ring was the artist's seven year old daugher, Mardi. It is a garden scene, incorporating small insects such as snails and ladybirds in the bold colours which enamel permits. 'Supernature' is a naive vision of nature, inspired by a child's view of the world. 18ct gold ring covered in grass green enamel. 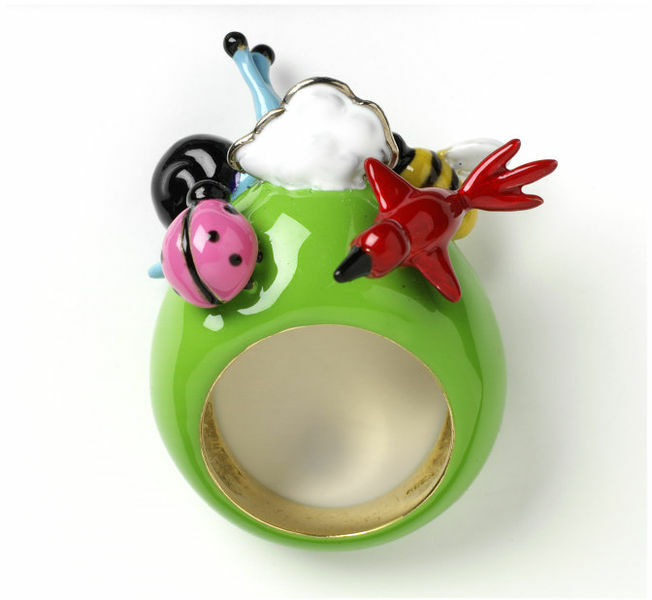 On the bezel of the ring can be seen small garden insects enamelled in bright colours: a snail, ladybird, bee, bird and cloud. 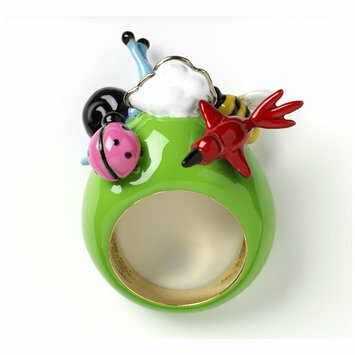 'Supernature' ring, gold and enamel. Designed by Solange Azagury-Partridge in 2005 and made in 2007. London, England.